This hot melt glue is specially formulated for installing saxophone pads, installing clarinet pads and installing flute pads. 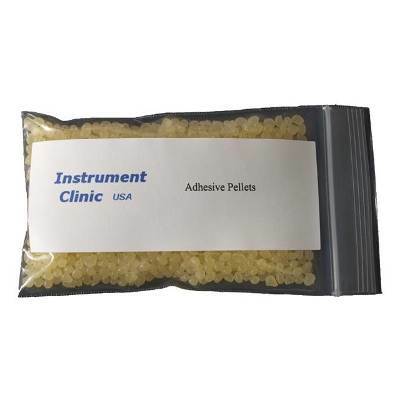 It is very similar to the clarinet pad adhesives (clarinet pad glue) used by many manufacturers. Available in .25 oz, 1oz, 4 oz, and 1 lb packages. The .25 oz package is perfect for those who are padding just one clarinet. Also available in convenient dispensing tube.